We're more than an advertising agency. 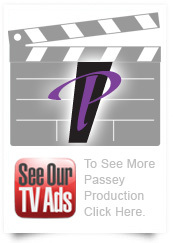 Passey is a one-stop shop for integrated brand promotion, television commercials, web sites, web applications, iPhone apps, and OSX Software. Our development team may be geeky, but they sure get the job done. 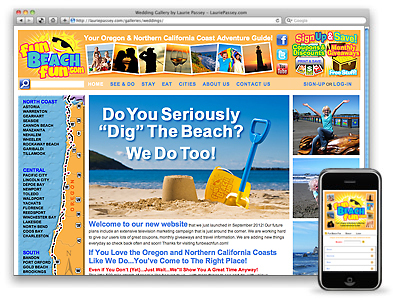 Using cutting edge technology, and more than a smidgen of passion, we create web sites, web applications, iPhone apps, and OSX Software that is intuitive and easy to use. Our design team is brimming with talent. Did I mention we've won numerous design awards? Our designers know what it means to take your product or service and turn it into a completely cohesive, visually stimulating branded strategy. We create logos, commercials, billboards, magazine ads, and more. With years of experience Passey is always up to date with the latest technology. Don't make us do boring OK? TV commercials and corporate videos are produced by our own team of professionals using the latest technology. With state of the art equipment and a one of a kind editing facility for top quality High Definition television and radio production, we get the job done. Who we are And why we're so awesome. Development Using computers can be beneficial. Design The guys with the eyes. Production Most anything is possible! Development Websites, Web applications, iPhone apps, OSX Software. Design Logos, Magazines, Billboards, Newspapers, Print. Production TV, Corporate Videos, Radio. *Although not completely accurate, these numbers should give you an idea of what we're capable of. Full name, or whatever you want us to call you. Please don't use '@mailinator,' - we know better. Sunday was the best closing day ever for the mountain. All the stars were aligned just right and we did very well. Thanks for doing such a great job with the Advertising! Passey Is A Google Certified Partner! Passey received their Google Partner Badge! Google recognizes companies that excel with Google products. Working with an agency that is a certified Google Partner will not only save you time, it will save you money. Contact Us today to learn more about Google Advertising and how it can improve your company's marketing efforts! Complying with current web standards and guidelines, Passey creates and build websites for each client based on their needs and what their customers want to see. Passey looks at goals, priorities and how their sites would function from the back end to the front end. We develop new sites using Content Management Systems so the content can be managed and changed by the client. The CMS is specifically created for each individual site. We are happy to say that the web traffic on all the sites have increased extensively since their launch. The Passey team does an amazing job and as always we love working with our great clients. Passey Is Involved In Community. 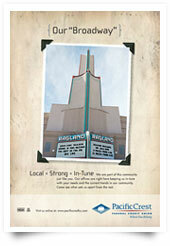 The Passey team donated their time and effort producing a 5 minute video for the Southern Oregon Red Cross. Nancy Passey was recognized with her involvement on the board. The new video will be shown to Rotary Clubs and Organizations throughout Oregon. Randy Passey continues his service and involvement with Bear Creek Valley Rotary. The recent Vision Clinic at Phoenix Elementary School saw 140 patients that received free eye exams and other tests. From donating to local schools and sports for our kids, Passey cares about Community. We design, develop, produce, cut, haggle, edit, analyze, study, and execute. All from our house-turned-office in little Medford, Oregon. We don't do boring. Like what you see? Hire us or follow us on Twitter. © <?=$now->getYear();?> Passey Advertising Inc. All Rights Reserved. Reproduction without explicit permission is prohibited. This page took 0.047133 seconds to process, and only 0.886MB of memory. In an attempt to keep pushing technology forward, we here at Passey Advertising have decided to not support outdated technology in this rapidly-changing medium called the Internet. We know that this type of decision can ruffle some feathers, so to make amends we'll point you towards some browsers that support web standards and things like CSS2, PNG transparency, and have overall better security. You may be angry now, but trust me, you'll thank us.